Why do the followers of Group Horse take note of our inside info? Because it reveals hidden talents which, most often, do their talking on the track. 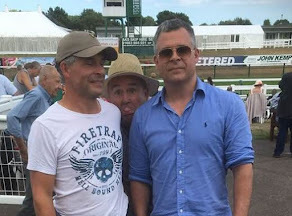 To be fair Gay Kelleway doesn't have the best string of juveniles. Never quite in the same league as her father Paul, who used to love to tilt at windmills and showed other trainers how to win. One of few trainers who used to love sending out his better two-year-olds to debut at Listed class. It always seemed a touch crazy to me but they often went well. 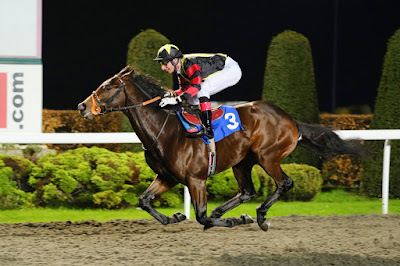 Global Spectrum, a bay son of Dutch Art out of the dam Lady Darshaan (a smart filly trained by Stan Moore) ran out a nice winner on debut at Kempton when racing over seven-furlong for owner Dr Johnny Hon. He won by almost three-lengths at odds of 16/1. Followers of Group Horse made note of this particular day because many readers filled their pockets with cash. Take a look at the post we wrote here. We identified that this colt was well respected and an expensive breeze-up purchase at 130,000g. Note: Nice to see him win at Group 2 in Doha, Qatar, now heading for the French 2000 Guineas. There was a lot to like about that debut and the way he won gave the impression much greater things were expected. 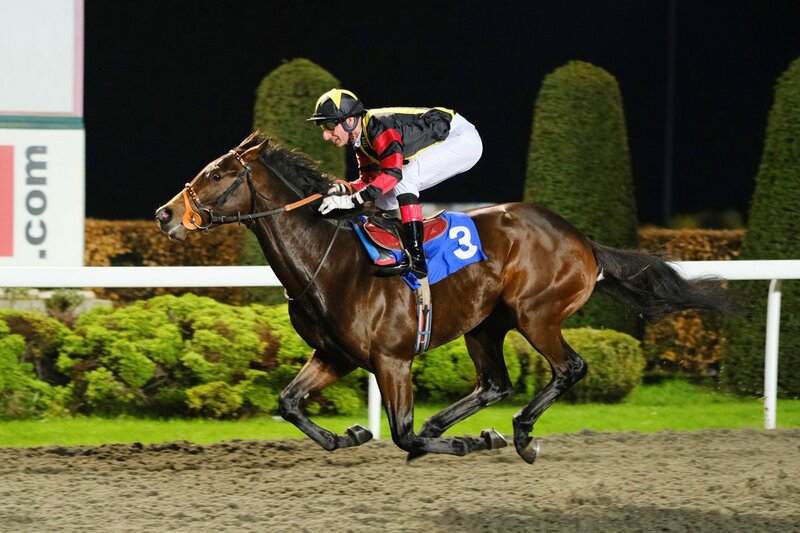 Making his return to the racecourse on the 2nd February to compete at Kempton over seven furlongs (carrying a winning penalty and a wide draw) didn't prevent punters from getting stuck in. The early price of 7/2 (Betfair) was soon hoovered up and a sustained wave of cash chipped away at the price until 4/6f was returned at SP. Leading from the early stages, he never looked to be threatened by the opposition and won ''readily'' by one-and-a-half lengths. Connections will be looking to step up to a higher grade come the Flat turf season. Interesting to hear the views of Kelleway as they may even be thinking about a trial for the 2000 Guineas. Perhaps that is wishful thinking on my part, but you can guarantee that this able colt will be looking to step up to pattern class in his next race or two. Group Horse has other notable wins this week with a couple of horses which had looked disappointing. John Gosden's Albert Finney finally go off the mark on this fifth run. This gelding had been far to keen in his earlier races which made life difficult. However, he won well at Wolverhampton (30th January). Another horse to leave his debut far behind was Charlie Appleby's Wings Of Time who we detailed on one of our two Ten Dark Horse Mailings. This bay gelding, a son of Invincible Spirit, went unfancied on debut Newmarket when starting odds of 20/1. He was definitely in need of the race and between into seventh losing by fifteen lengths. However, a gelding operation, time and stepping up to one mine and half a furlong proved positive moves. This March foal was backed to odds of 4/9f. Although suffering problems in running, he ran out an easy enough winner giving the impression there is a lot more to come.